Rajasthan Royals players celebrates the wicket of DDs Yuvraj Singh during an IPL match in Mumbai. Rajasthan Royals player Stuart Binny celebrates the wicket of Angelo Mahews during an IPL match in Mumbai. 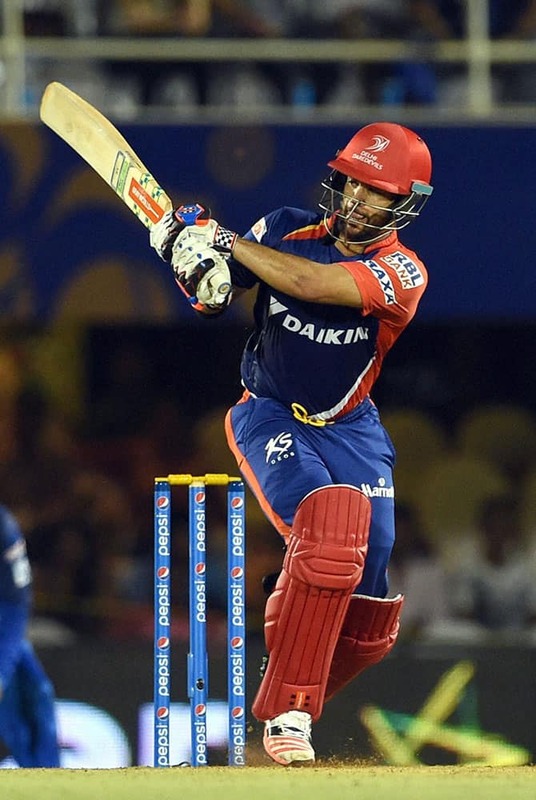 Delhi Daredevils player J P Duminy plays a shot during an IPL match in Mumbai. 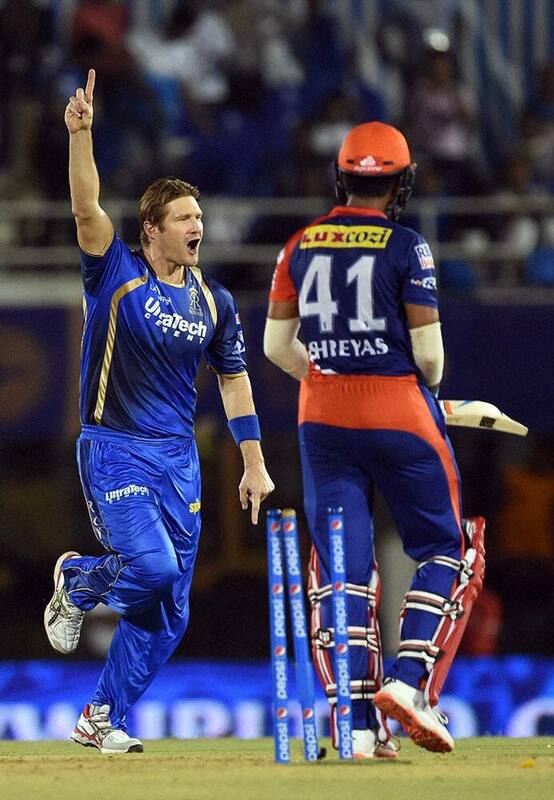 Rajasthan Royals player Shane Watson celebrates the wicket of DDs Shreyas Iyer during an IPL match in Mumbai. Rajasthan Royals players celebrate the wicket of Mayank Agarwal of Delhi Daredavils during an IPL match in Mumbai. 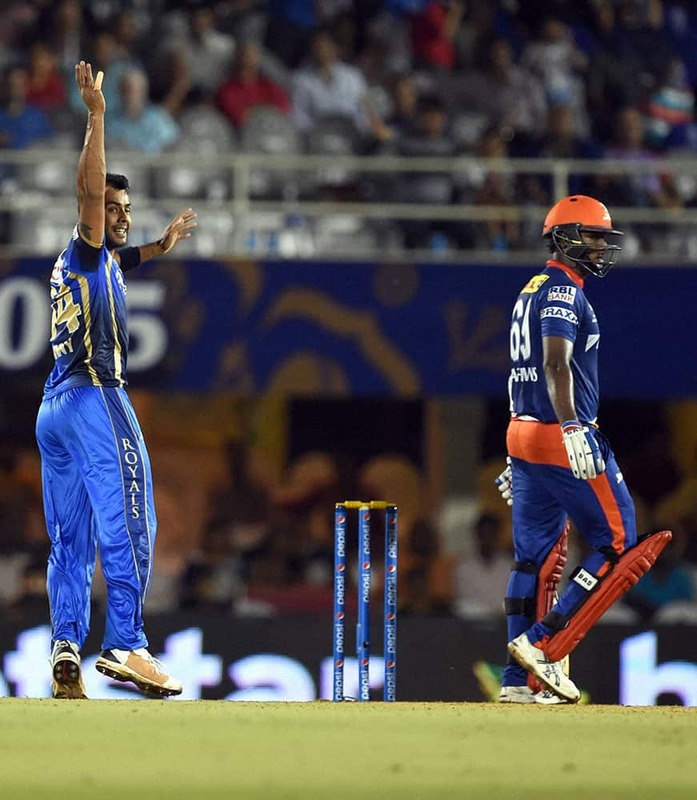 Rajasthan Royals player Ajinkya Rahane greets Karun Nair for scoring half century during an IPL match in Mumbai. Delhi Daredevils players Amit Mishra and Zaheer Khan drop the catch during an IPL match in Mumbai. 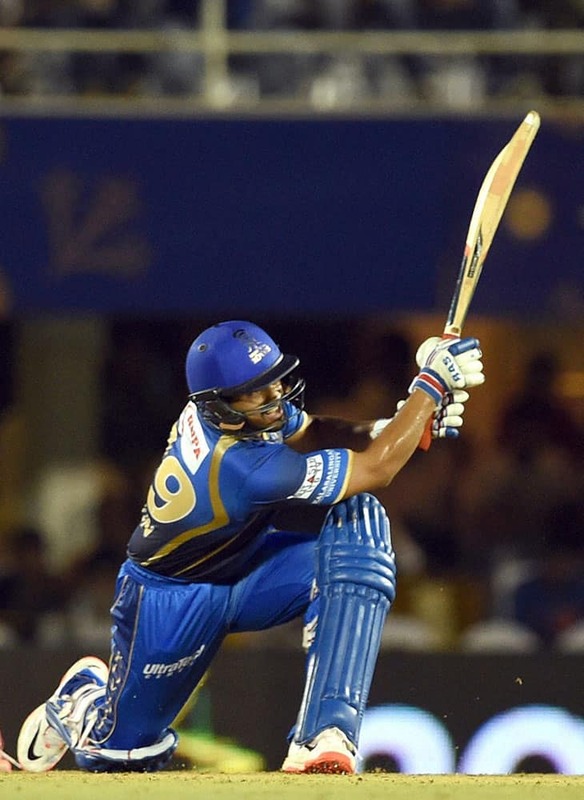 Rajasthan Royals player Karun Nair plays a shot during an IPL match in Mumbai .